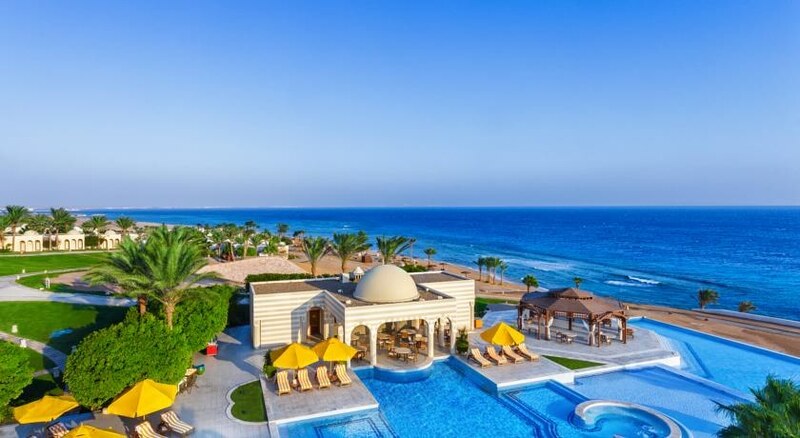 Located near the Red Sea, some 26 km from the beautiful resort town of Hurghada, The Oberoi, Sahl Hasheesh is the perfect luxury accommodation in Egypt for couples, families and friends. The beach resort of Hurghada is famous for scuba diving and other kinds of water sports. The resort is mix of the old and the new with modern nightclubs, bars and restaurant jostling for space with quaint coffee shops and exotic souks. The Oberoi Sahl Hasheesh is the perfect luxury hotel complementing the beauty and serenity of this wonderful seaside resort. This is an all-suite hotel, spread over a total area of 40 acres and comes with its own PADI-certified dive centre and an 850-metre-long private beach. Inspired by traditional Arabic architecture, the hotel’s sheer grandeur evokes awe and wonder. The fine dining restaurants of the hotel ensure that your taste buds are tingled, while a host of services, such as swimming pool, complimentary access to Wi-Fi facilities, spa and fitness centre make sure that the guests are getting their money’s worth. 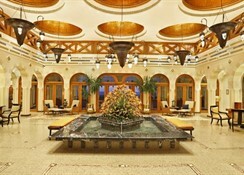 The hotel is a 30-min drive from the Egyptian beach resort of Hurghada. The nearest airport is Hurghada International Airport, which is situated at a distance of 17 km from the hotel. The airport is the second busiest airport in the country and is well-connected to Europe and North America with daily flights. 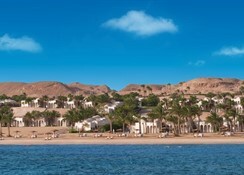 The beach is located is located right across the hotel, which gives its guests an uninhibited access to the Red Sea. 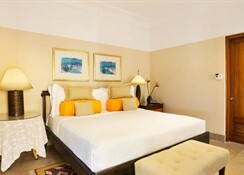 The hotel is only 25 minutes from the centre of shopping and nightlife. The hotel has a number of delectable dining options. 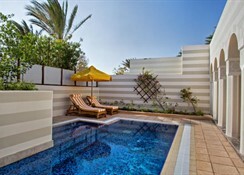 There is Pergola, a relaxed poolside dining space featuring Mediterranean and Far-Eastern lunchtime menu. Dinner is served in Zaafran, a fine dining restaurant serving Indian cuisine. The main restaurant features both indoor and al-fresco seating areas and serves Western, Oriental and Pan Asian cuisine. Finally, the bar features an exquisite indoor space with Spanish marble and polished wood and serves cocktails, shisha and cigars. Couples can also opt for romantic candlelit dining on the hotel’s private pier. The spa of the hotel has individual therapy rooms, where guests can enjoy Balinese, Thai and signature Sahl Hasheesh treatments. The fitness centre has all the equipment you’ll ever need to stay fit, while the outdoor pool has separate areas for adults and children. There is also a PADI-certified diving centre, an extensive private beach up to 850 metres long and an all-weather tennis court. The hotel arranges fun activities like scuba diving, boat cruises and cooking classes with the in-house chefs. 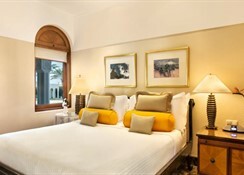 For kids, there’s a kids’ club, treasure hunt games, culinary sessions and star gazing at night.